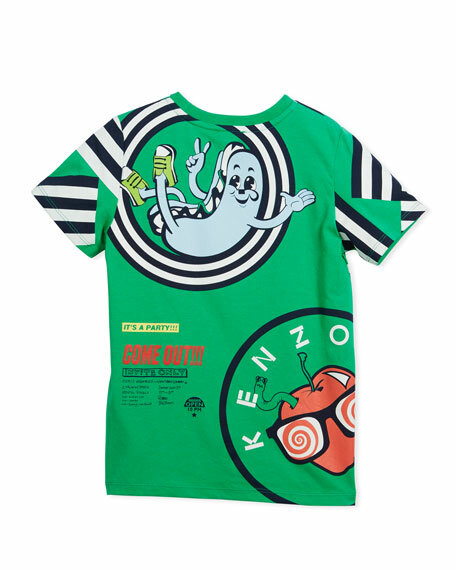 Kenzo striped T-shirt featuring assorted food icon graphics. 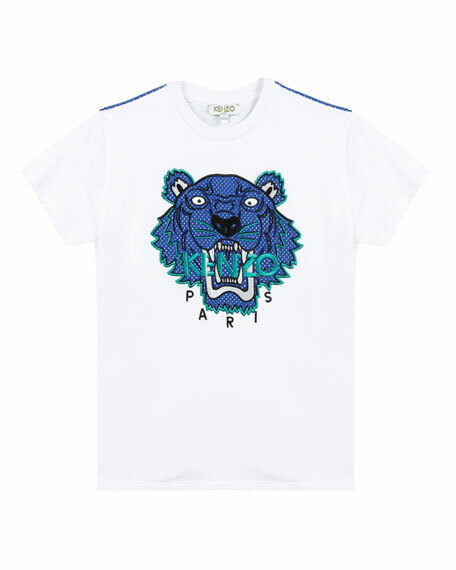 For in-store inquiries, use sku #2477172. Beams Plus sport shirt in multi-striped poplin. Button-down collar; button front. Rounded barrel cuffs. Shirttail hem. Cotton. Made in Japan. 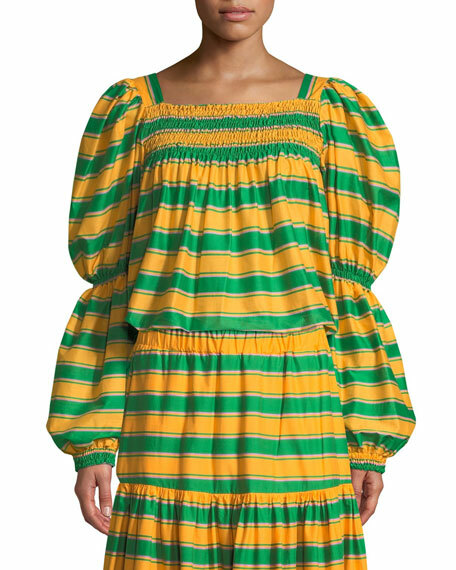 Double J striped peasant top in lightweight cotton voile. Smocked yoke and sleeves. Square neckline. Long statement sleeves. Slipover style. Loosely fit. Made in Italy. Exclusively ours. 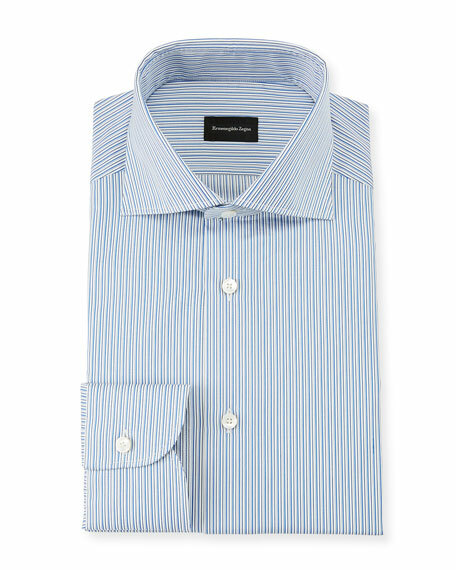 Ermenegildo Zegna dress shirt in multi-stripes. Spread collar; button front. Rounded barrel cuffs. Cotton. Imported.